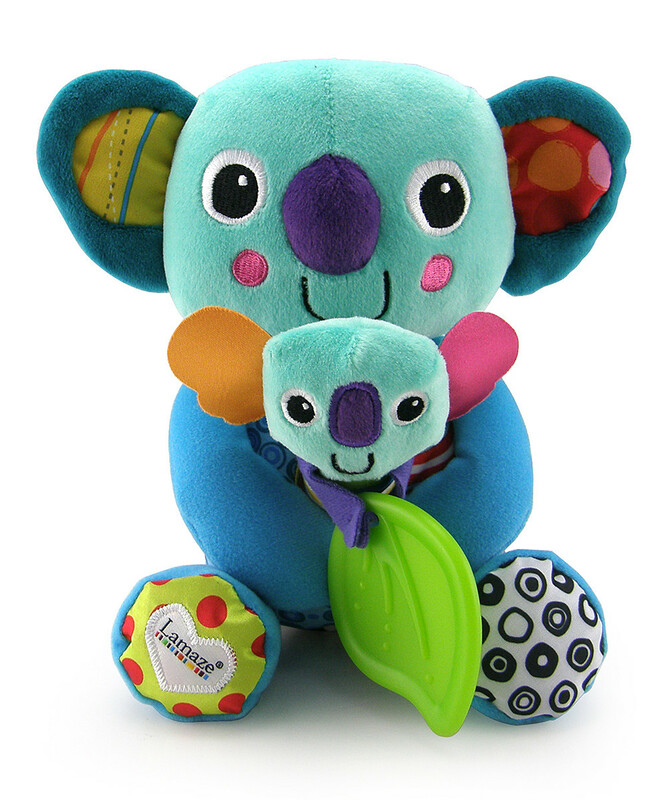 This snuggly set of koalas are a perfect pair for playtime. 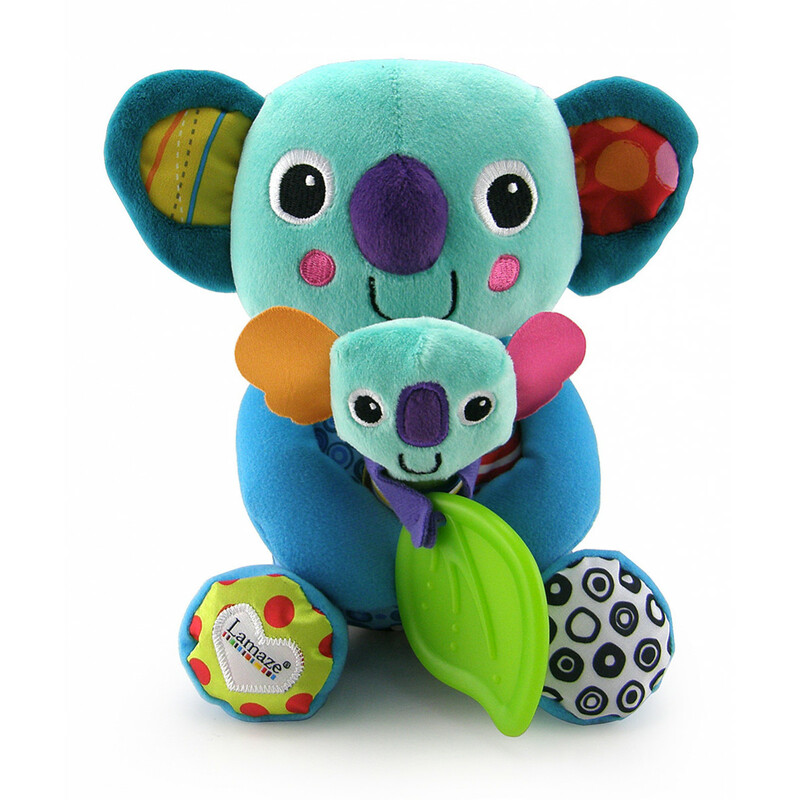 Mom Koala’s soft construction offers cuddles, while removable Baby Koala squeaks and provides a bright green teething leaf for gum-soothing nibbles. Cheery colors and a mix of perky prints engage curious eyes.